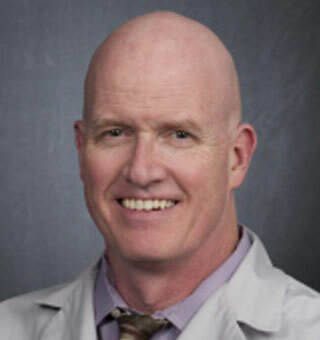 An ear surgeon for more than 24 years at Advocate Lutheran General Hospital in Park Ridge, Illinois, Dennis M. Moore, MD, brings extensive medical expertise to his roles on the AHRF Board and Research Committee. Currently an Assistant Professor at Loyola University Medical Center, he also has been an Assistant Professor at Northwestern University Medical School. Moore received his medical degree from Loyola University School of Medicine and continued there with his residency in General Surgery. He later continued his residency at the University of California, Los Angeles (UCLA). At UCLA, he was a Fellow in Neurotology in the Division of Head and Neck Surgery and merited a National Institutes of Health (NIH) National Research Service Award. Moore also was a Fellow in Neurotology at the University of Iowa. His medical society memberships include the American Academy of Otolaryngology-Head and Neck Surgery, the American Medical Association, the North American Skull Base Society, the Association for Research in Otolaryngology, the Society of Neuroscience, and the American Neurotology Society. Moore has authored numerous articles focused on head and neck surgery and laryngology.